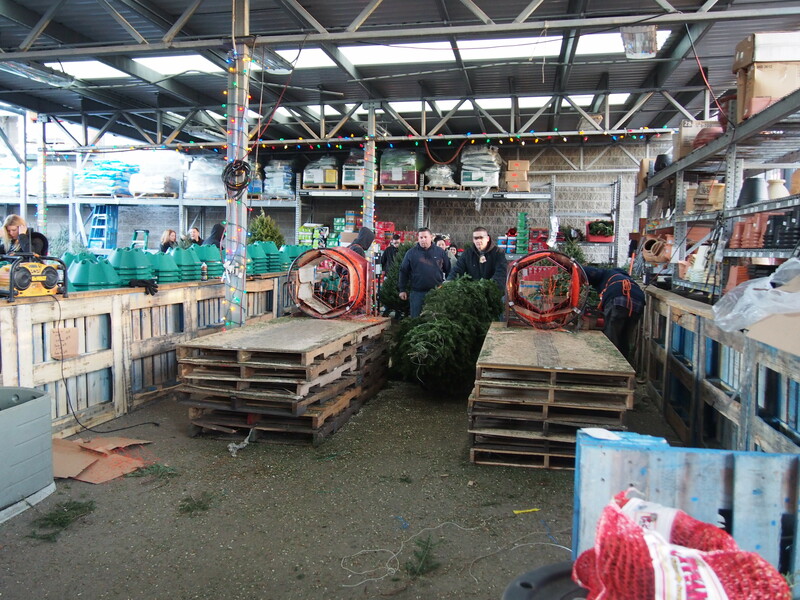 Last weekend I purchased my Christmas tree. 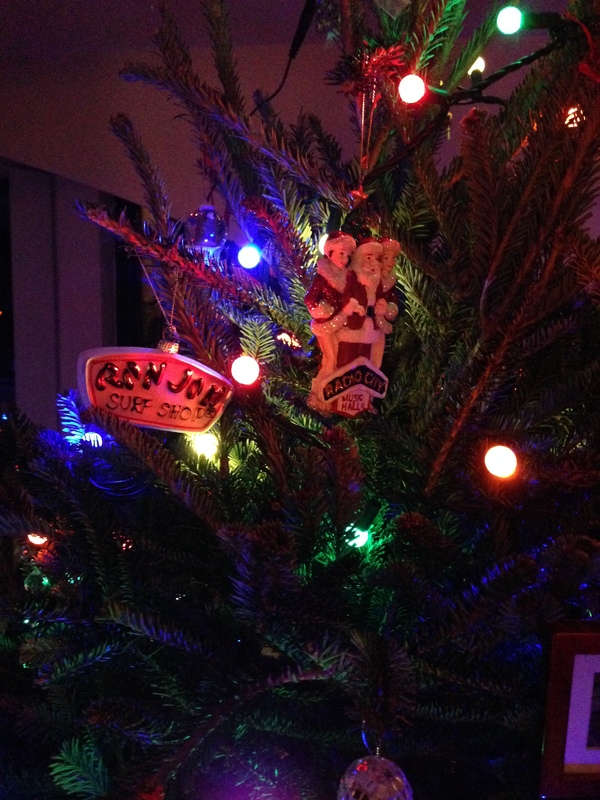 I like to buy a real tree; I enjoy the scent that fills my home and I don’t mind having to clean up the needles. 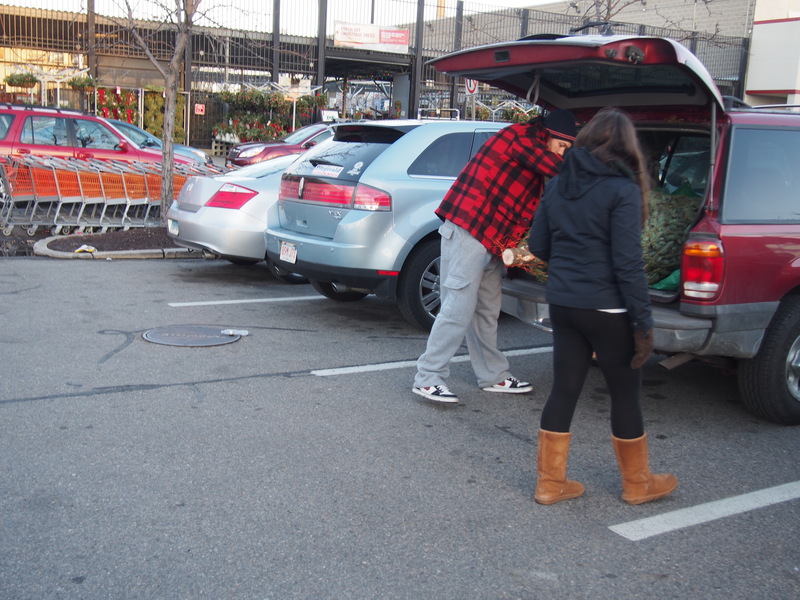 I bought my tree at the nearest Home Depot in Somerville, it was a cold day perfect for tree buying. I listened to Christmas music on the radio on my way to the store. Some years I’ve bought a tree during a warm spell but I find it more difficult to get in the Christmas mood when it is warm outside. This December in Boston hasn’t had many warm days, so it has been easy to catch the holiday spirit. 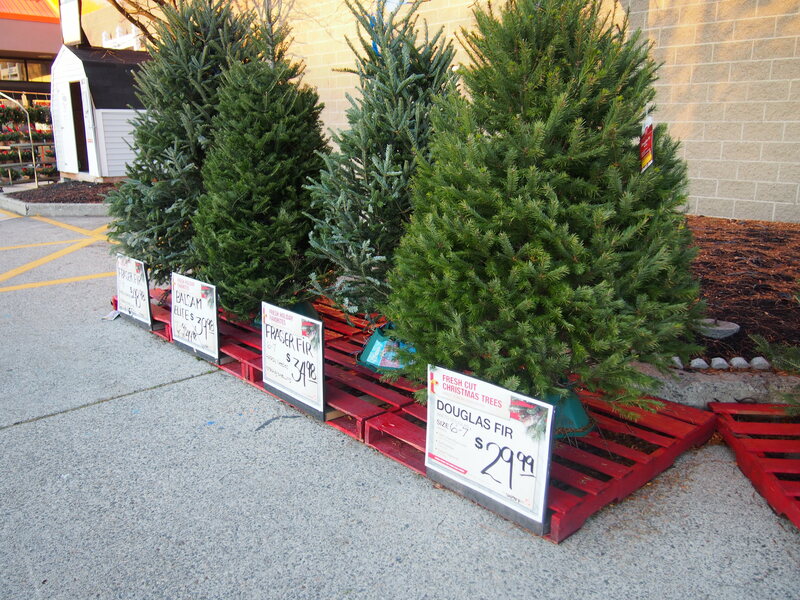 There is nice selection of reasonably priced trees at Home Depot. 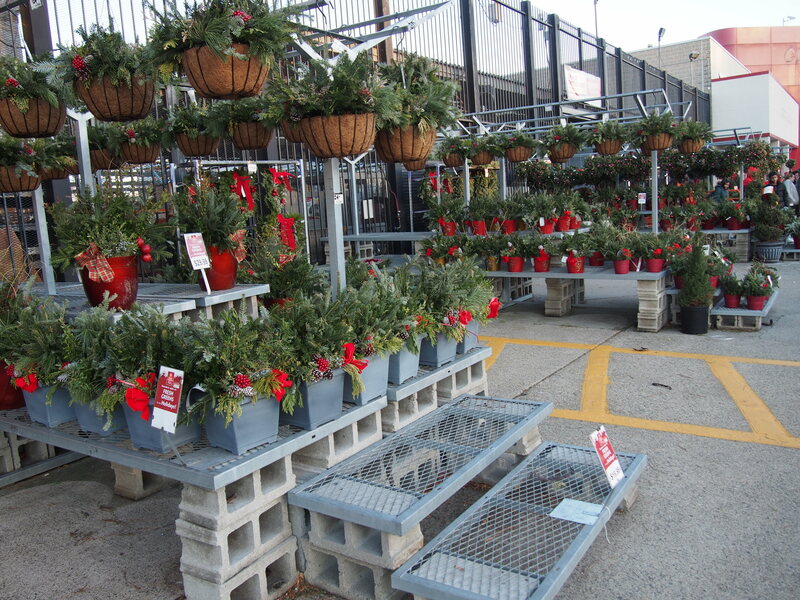 Balsam Firs start at $24.98. 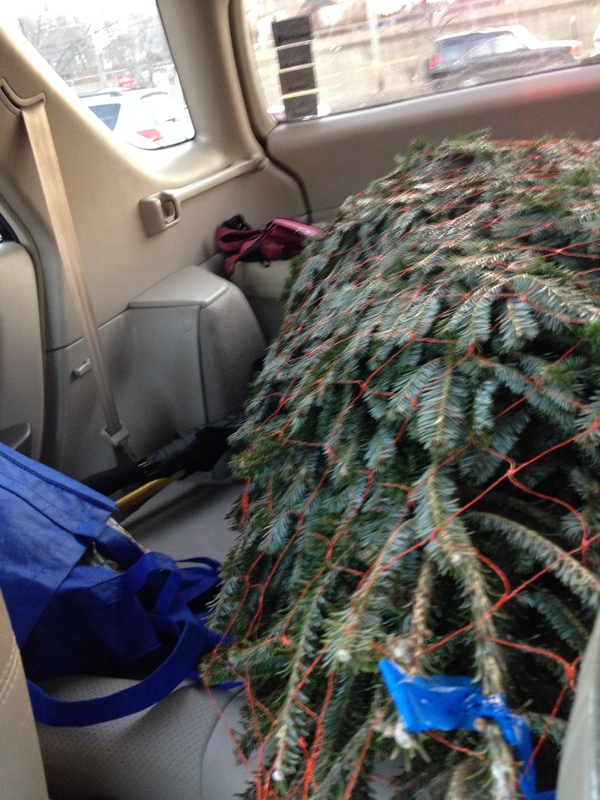 I purchased a Fraser Fir for $34.98. Joe helped trim the bottom of the tree and told me to be sure to keep it watered. He also suggested putting sugar in the water. He did a nice job trimming off the bottom of the tree. 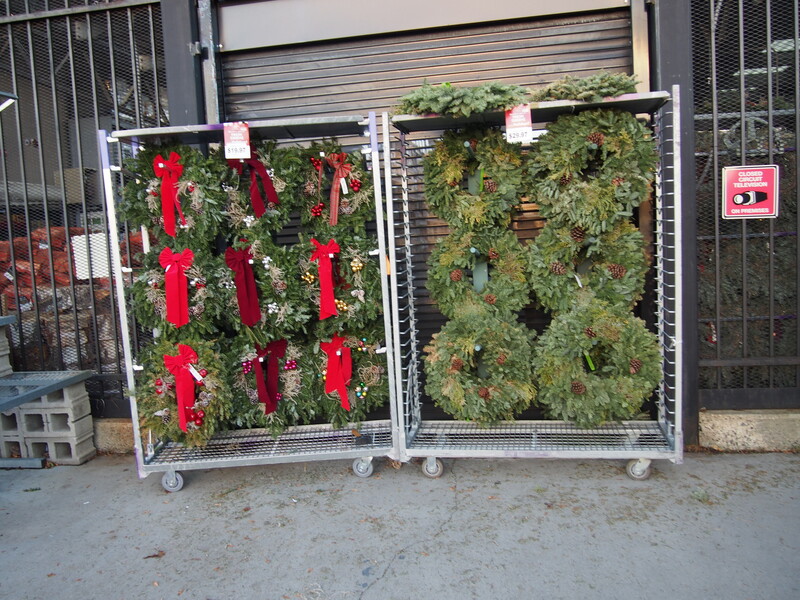 Home Depot also has a nice selection of wreaths and holiday decorations. There are plenty of lights and ornaments inside. 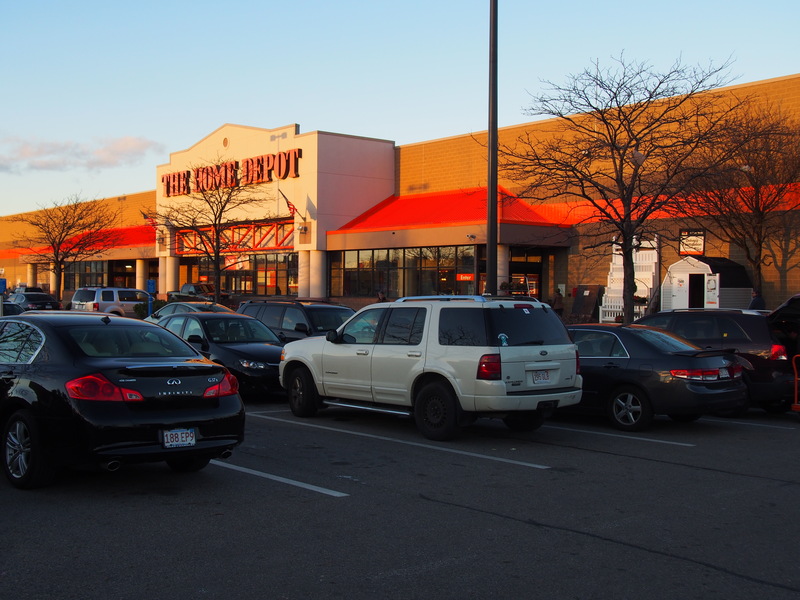 The helpful Home Depot employees will tie the tree to the top of your car. 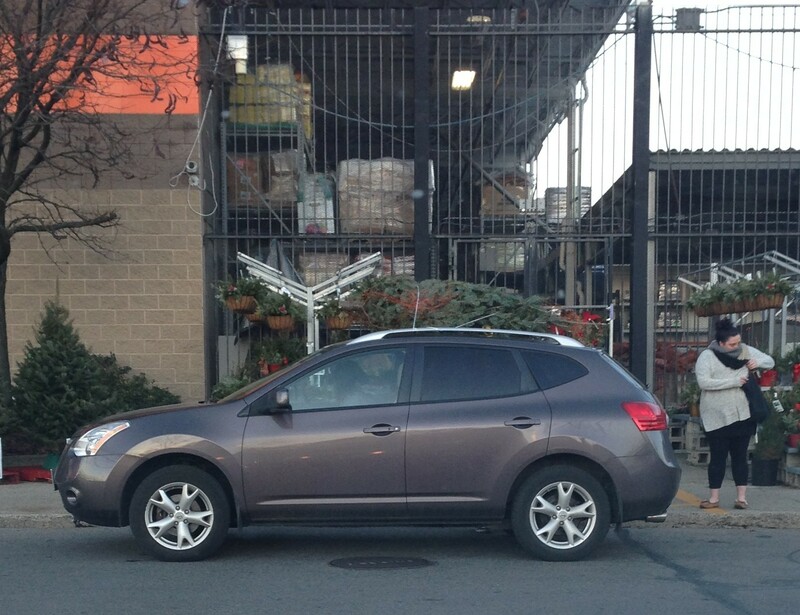 I choose to put it in the back of my SUV, like another couple I spotted. 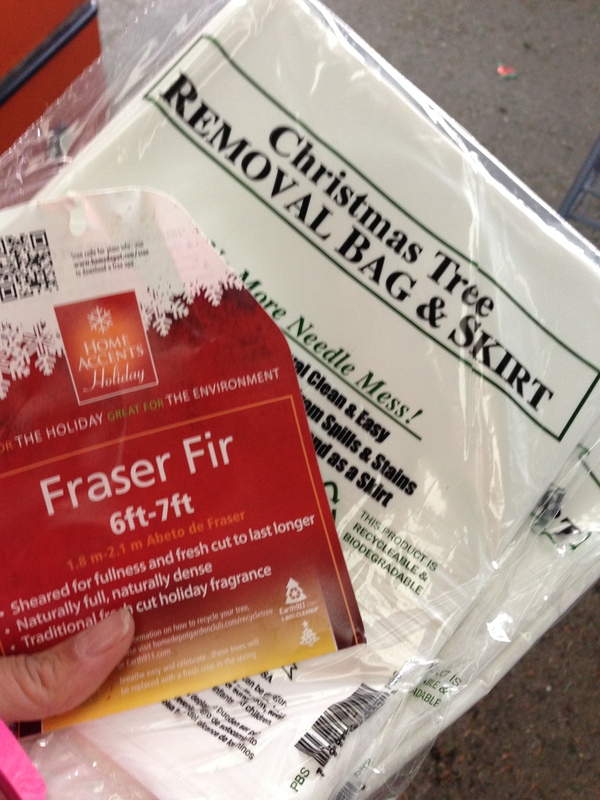 I also purchased a Christmas tree disposal bag that helps make the process of taking down the tree less messy. 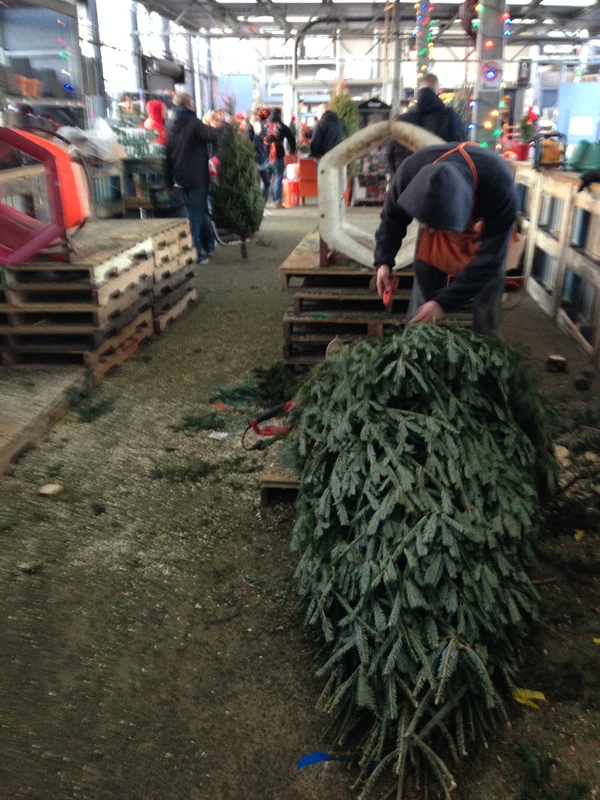 I picked a 6-7’ tree that I could carry by myself. I also set up the tree by myself thanks to the Krinner Christmas tree stand. 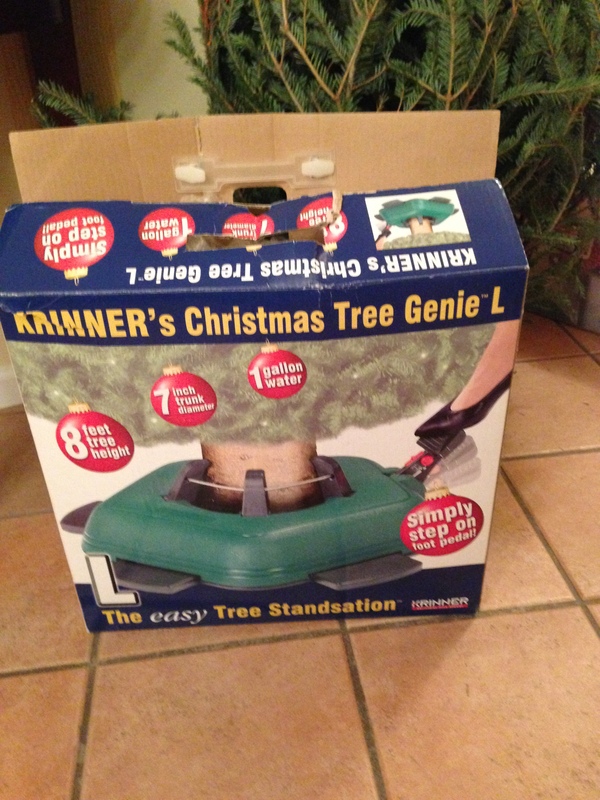 http://www.krinnerusa.com/index.php/genie-l Available at Amazon for $86.34. I didn’t pay that much for it when I bought mine many years ago but it has lasted for several years and is very easy to use. 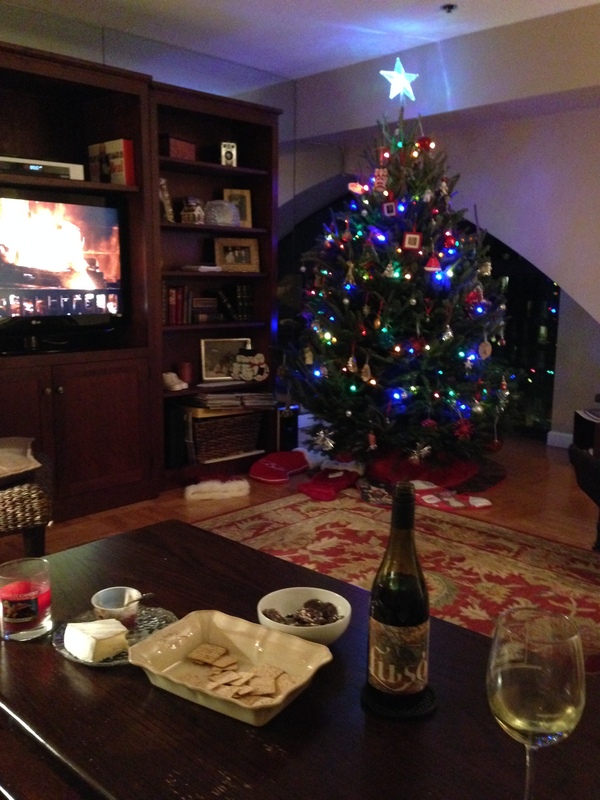 A few days later I decorated the tree with my friend Charity; a yearly tradition complete with wine and snacks as well as the yule log burning on TV. When I put up my first tree in my current home I bought red and silver coordinated ornaments with pretty white lights. 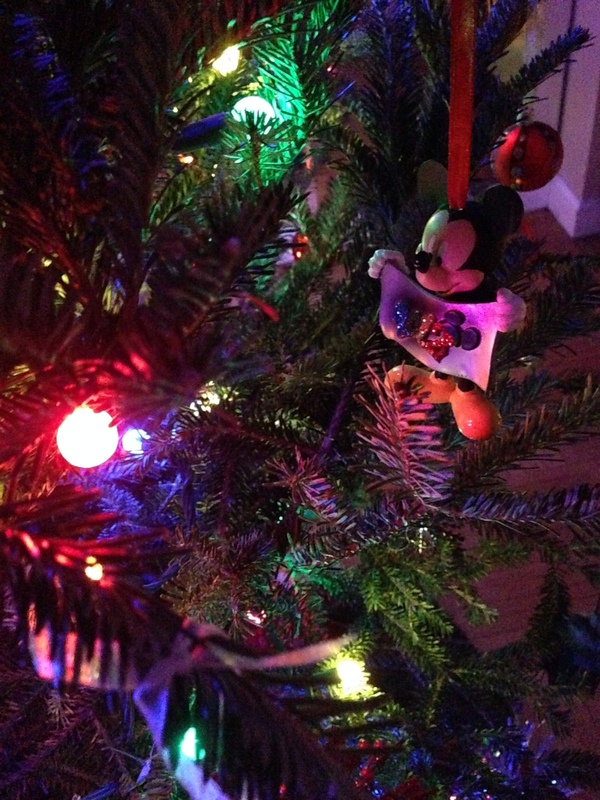 Over the years as the ornaments broke I decided to decorate with a more assorted group of ornaments. 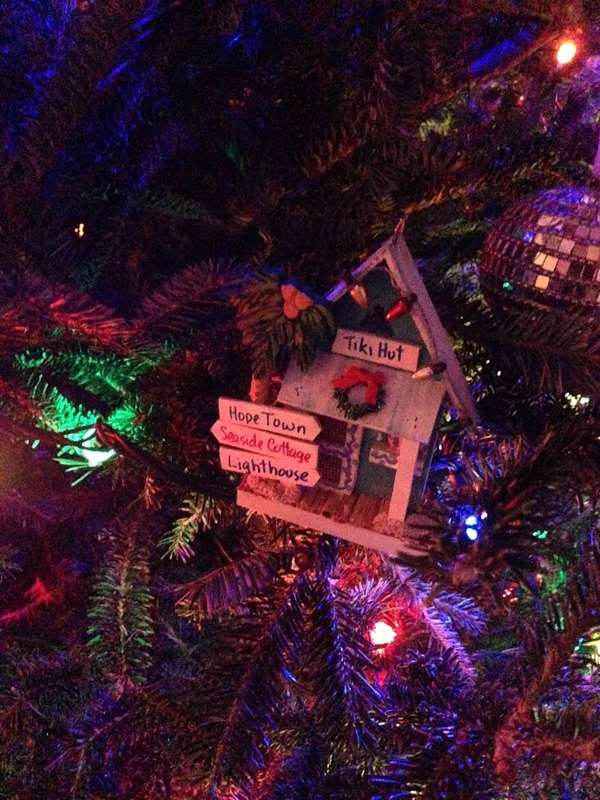 Now I decorate with ornaments that I have collected during the years on trips or that remind me of fun events. I also use colored lights. This type of decorating reminds me of the trees we had growing up with homemade ornaments and giant colored lights. I enjoy looking at the ornaments and remembering where they were purchased. I love this time of year and look forward to the traditions that go with this season like tree trimming. I hope you have some fun family and friend traditions to look forward to during the holidays.